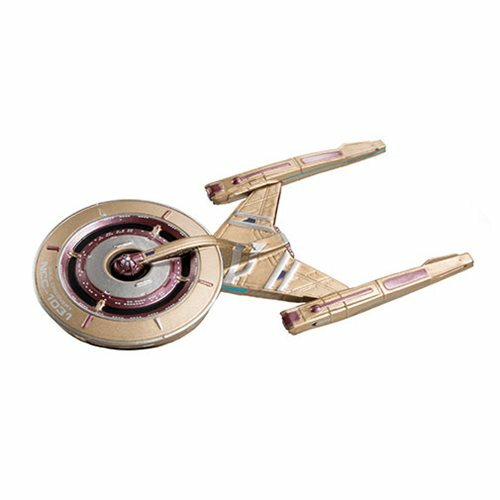 Come on a voyage to the stars with this intricate vinyl reconstruction of Captain Gabriel Lorca's ship, the USS Discovery - the eponymous lead starship from Star Trek: Discovery! It measures approximately 4 1/2-inches. Comes packaged in a window display box.